Step 1. Fold your fabric in half lengthwise, so you should have a double layer that is 60″ by 18″. Sew the long seam closed so you have a long tube. 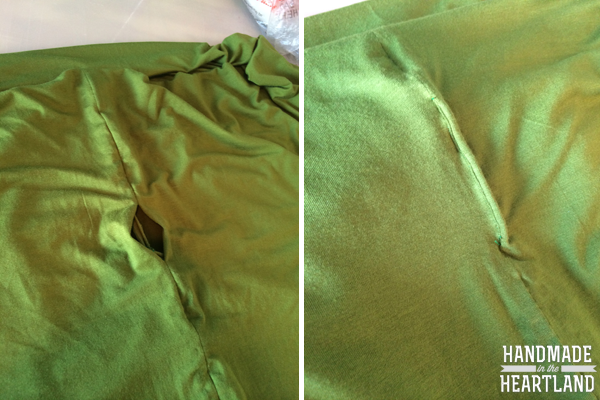 I just sewed at 1/2″, after its sewn iron the seam open. Step 2. Flip the tube right side out. Now you will sew the ends closed to make the scarf an “infinity” scarf. Match up the seams on both ends of the tube, start with the seam that you already sewed. Pin all the way around with right sides together, you won’t be able to pin the entire way around, so leave about a 4″ opening. Sew what you have pinned and then what you have left should look like the photos below. Top stitch the opening closed. Step 3. If you’d like to apply a stencil do it! 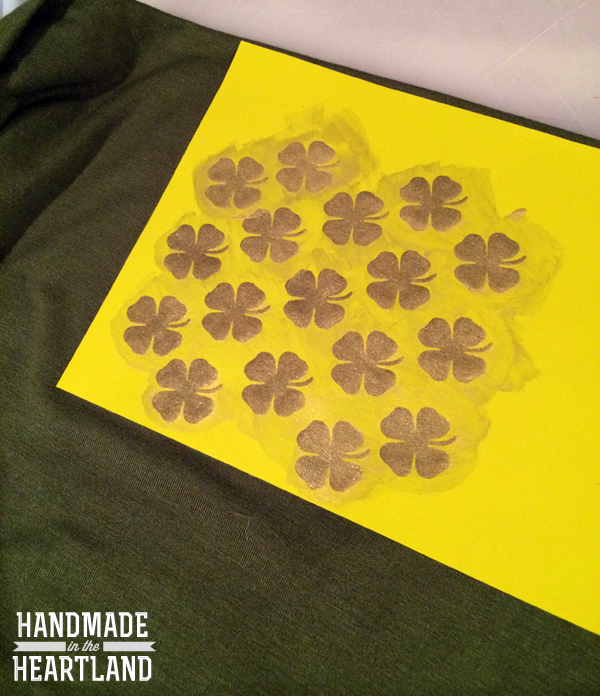 i used my silhouette cameo and cut out a shamrock pattern, stuck the vinyl on, and then used martha stewart’s gold craft paint to paint in the shapes. Once it’s dry remove the vinyl. 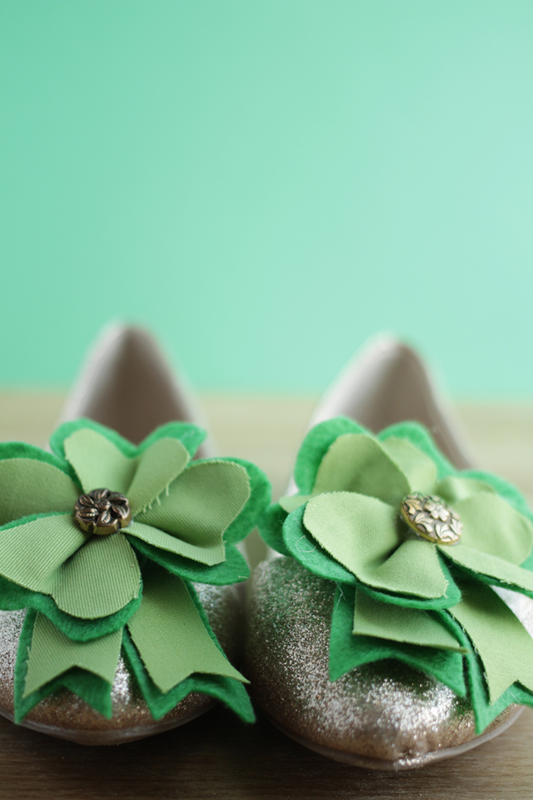 I’m loving these fun shoe clips. 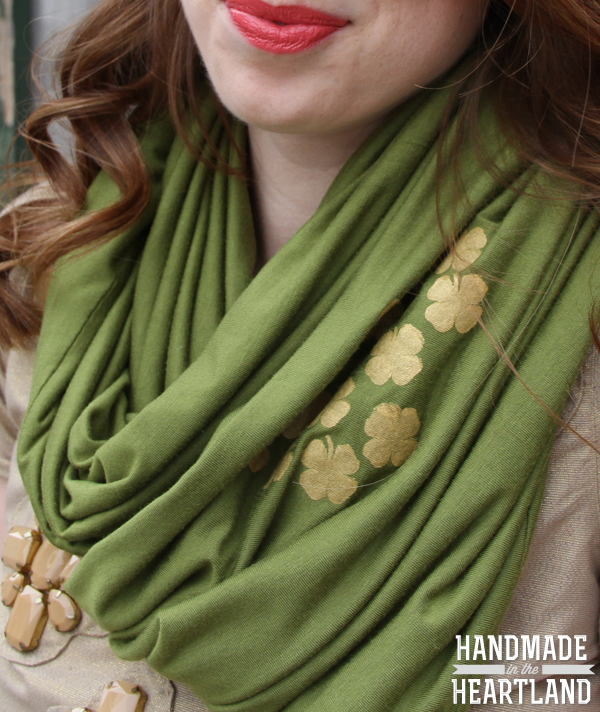 I used THIS tutorial to make make the shamrocks, cutting 2 different fabrics out and then hot glueing the gold button in the middle. I also used a simple metal hair clip on the backs applied with hot glue to be able to add these little guys on for March 17th and remove them after. 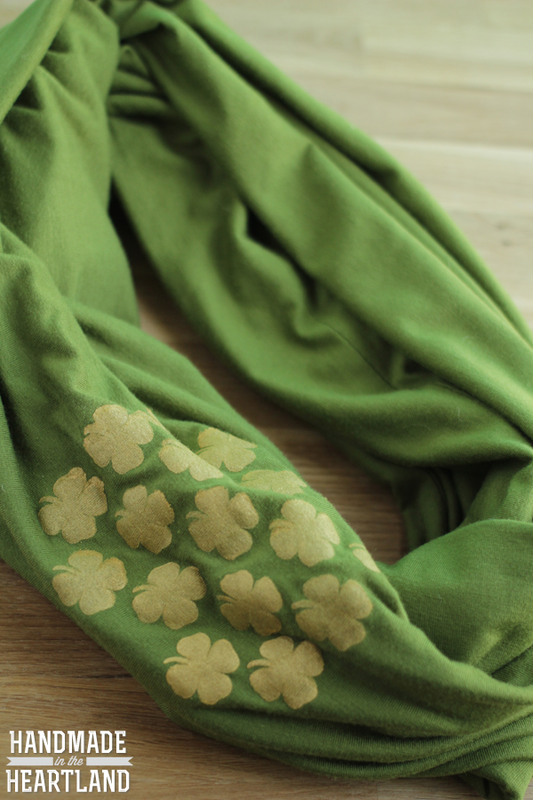 What are your plans for St.Patricks day? 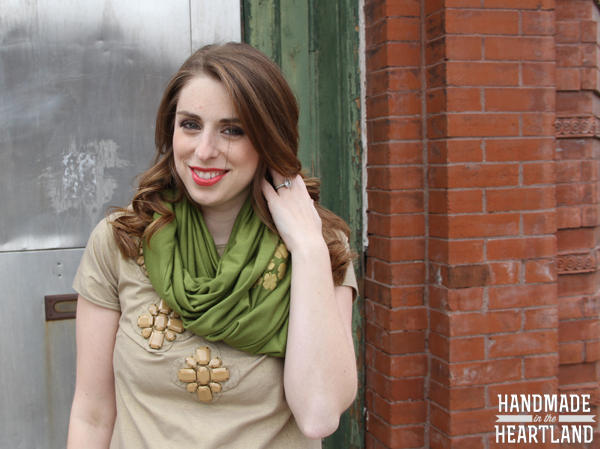 Are you dressing all out or just donning green? i’d love to hear in the comments!